(March, 2004) Franco has lived in a little house near Cosenza, exactly in Castrolibero. Now he lives in Cosenza. Hes has two daughters from his first marriage. Franco is 59 years old. Musical Background: I liked classical music since when I was young, I studied classical guitar for two years and after that I studied piano for two years also. When I was 25, I discovered my passion for Yamaha electronic instruments, Electone organs and various keyboards, which are the best in my opinion. I played music for entertainment in private parties and in some hotels until the age of 32. Unfortunately, for personal reasons, I stopped playing for a number of years. Then, at the age of 43, I restarted playing for my own enjoyment (actually I own a Yamaha PSR-6700, a very old keyboard, and a Yamaha PSR-2000, bought 2 years ago). Simultaneously, I discovered my passion for PCs. I programmed using DOS Borland Dbase IV and then I learned the HTML language. I like melodic musics from the 40s and 50s, and motion picture soundtracks. I hope you will enjoy the music I sent in as my first volume. Im sorry only because Yamahas sounds dont work properly if played on a PC. With software, Van Bascos Karaoke Player (http://www.vanbasco.com), this problem is partially resolved (thanks Joe). 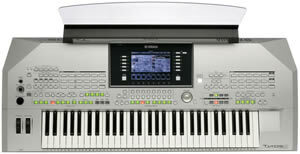 Note: Franco moved up to the Tyros2, then the PSR-S750, and now is playing a Tyros5. Franco has provided 60 songs in midi format. These were created on the PSR-2000 (2k) or Tyros2 (T2). Individual songs are shown in the table below and any one song can be downloaded by right-clicking on the song link. 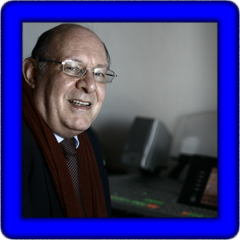 You can download all of Franco's MIDI songs in this file: FTancredi-60.zip. The table displays the song title, tempo (T), time signature (TS), lyrics (L), chords (C), where possible, the style used, the original volume (V), and the keyboard used (K). Franco's songs are arranged alphabetically by keyboard. Click on the song title to listen to and/or download the song.